Pictures may be of a similar home. MLS#21623830. CENTURY 21 Scheetz. Woodcreek Crossing - Today's latest looks! Avon Schools! MLS#21623232. Carpenter, REALTORS®. Smart home technology including Echo Dot and Ring Doorbell. MLS#21623093. CENTURY 21 Scheetz. Photos shown may be an artist rendering, model home or of the same model. MLS#21623102. CENTURY 21 Scheetz. Photos shown are of the Kingston model in Camden. MLS#21623067. CENTURY 21 Scheetz. Photos shown are of the Ashbury model home in Camden. MLS#21623012. CENTURY 21 Scheetz. 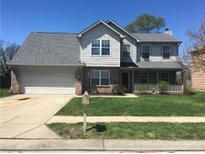 Features: Tray Ceiling in the master bedroom 9' first floor ceilings Upgraded interior paint Pure white staggered cabinets in the kitchen Kitchen island High-Def counter tops in the kitchen and bathrooms Stainless steel appliances Upgraded flooring through out MLS#21623060. Ridgeline Realty, LLC. Additional 13 x 13 Office And A Beautiful 20 x 12 Enclosed Porch Offering A Magnificent View Of The Woods! ! MLS#21623731. Wall and Associates. Bridgewater Avon - And at this price, it won’t last long!! ! MLS#21623101. Harvest Realty Group LLC. Professional landscaping completed with a number of upgrades! MLS#21623429. United Real Estate Indpls. Back patio overlooks the firepit and creek and reminds you of being in the country but just minutes from city. Motivated seller bring offer today MLS#21623408. RE/MAX 1st Realty. 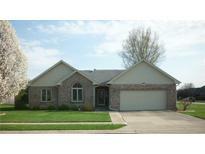 Heathermor - MLS#21622939. HMS Real Estate, LLC. The Settlement - Take A Look Before It's Gone. MLS#21622923. RE/MAX Advanced Realty. Home sits on a quiet road in sought after Avon Community School district minutes from shopping and great food! MLS#21622739. 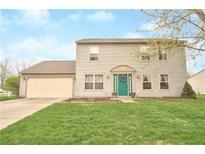 Keller Williams Indy Metro W.
Come see this beautifully updated home today!! ! MLS#21616277. Berkshire Hathaway Home. 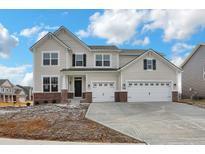 Parks At Prestwick - Updated roof, paint & light fixtures make this home show like new! Stunning architecture!! ! MLS#21619598. F.C. Tucker Company. Woodcreek Crossing - Wonderful high efficiency gas fireplce. basement is plumbed for bath MLS#21622406. Brown County Vacation Homes. Pines Of Avon - This home also features Open Concept Living w/ Kitchen Island Bar plus Reverse Osmosis Water System, Fireplace, Oak Bookshelves with Window Seat, Custom Coat Rack, upgraded door handles and so much more. MLS#21619544. RE/MAX Ability Plus. Hollow Brook - Hurry in before it's too late! MLS#21618262. CrestPoint Real Estate. Forest Commons - Schedule your showing today for your new home! MLS#21619149. Sandcastle Real Estate, LLC. Canak Place - Has a nice covered patio with view of the tree lined side yard. Plus a peaceful setting. MLS#21618439. RE/MAX Centerstone. Enjoy the convenience of shopping, dining, interstates and much more! MLS#21619161. HMS Real Estate, LLC. 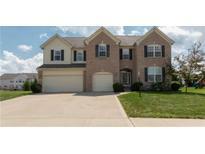 Bridgewater Avon - Located in the most desired neighborhood in Avon. MLS#21619180. Keller Williams Indy. Be sure to click the link for a full 3D interactive virtual tour of this beautiful home! MLS#21618955. RE/MAX Centerstone. Ians Pointe - And don't forget the kids, they'Lower Level LOVE their oversized upstairs loft for hours of fun! MLS#21618719. Urban Realty Group, LLC.